We need not to be in fashion week to truly feel how stylish the people is in Milan. Locals or tourists, there is a sartorial presence in each and everyone. Although it would be 100x better to be able to witness Milan Fashion Week in all its glory. Here I just escaped the annoying throngs of merchants/sellers in front of Il Duomo. 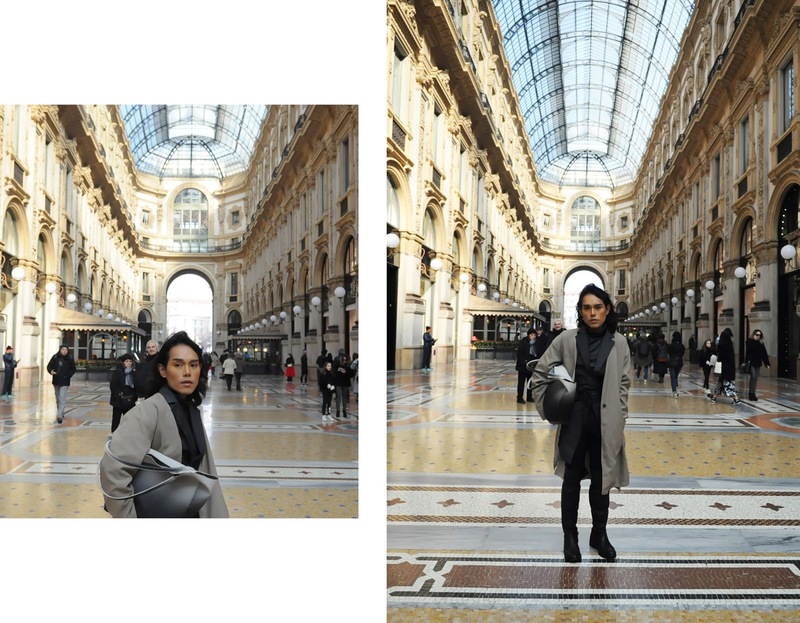 The Vittorio Emanuele was a solace in the middle of it all. I have never seen such grandiose details and beauty in my life. True we have arcade malls in Sydney and Melbourne which is like a 20x miniature version of this! haha. Every sense is intoxicated. Sight, smell, touch ! From the smell of espresso in a small coffee shop across the street, the lovely Italian words uttered by the locals, the beautiful gothic and baroque buildings in every corner down to the quaint but deadly cobbled stones that lead you to narrow alleys.